Unabridged Audiobook, 15 hrs., 28 mins. Spoilers to follow. This isn’t one of my typical posts, so my typical rules don’t apply. 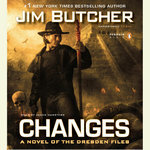 After starting a few months back, I’ve pretty much stopped posting about listening to the Dresden Files audiobooks — there are only so many ways to say, “I’d forgotten how much I like this story” and “Wow! James Marsters did a fantastic job!” Not only does it get dull to read, it gets pretty dull to write. (okay, there is a challenge on finding a new way to say it, but . . . I’m too lazy to find that enticing). But I listened to Changes this week and how can I not talk about that?This is one of my favorite novels ever — Top 10, Deserted Island Must-Have kind of thing — highs, lows (and things lower than lows), laughs, tears, anger, shock, joy. Changes has it all (at least for those who’ve been with Harry for a few books — preferably 11). Listening to the book was a great way for me to experience it again — if for no other reason, I couldn’t race through it and accidentally skim over things in my haste to get to X or Y plot point. It’s silly as I’ve read everything that comes after this a couple of times, but seeing all the compromises and deals Harry made as his life is dismantled piece by piece really hit me hard. Yet, Harry makes his choices freely and for the best reason imaginable. All for Maggie. The ramifications of his choices and agreements are wide, huge and so-far we don’t know all of them — and Harry’d do it all again, and there’s not a fan in the world that would blame him. And I . . .I used the knife. I had to hit pause for a couple of minutes before I could keep going. Sometimes as a book blogger, you get wrapped up in numbers, ratings, book tours, promotion, and all the other stuff — but every now and then it’s great to remember what it is about fiction that gets you into it in the first place. This treat by Butcher and Marsters did just that for me — I was entertained, I was moved, I was a little inspired. If you’re a Dresden fan still working their way through the series and haven’t gotten to the end of Skin Game yet, DO NOT READ this post. Go catch up first. Being a wizard is all about being prepared. Well, that and magic, obviously. Generally, when I start a book, my question is: how much am I going to like this? (Occasionally, the question is: I’m not going to hate this, am I?) But there are a few authors that I ask a different question with: How much am I going to love this book? Jim Butcher is probably at the top of the latter list, and the answers are typically: a lot, a considerable amount, and WOW, SO, SO, SO MUCH. I make no bones about it, I don’t pretend to be anything like objective. 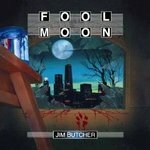 I know he’s not everyone’s cup of tea, and I’m not looking to convince anyone to give him another shot (but I’m willing to give it a shot if someone wants me to), but for many, many reasons, I’m an unabashed and unashamed Jim Butcher fan and Brief Cases gives several reasons why I continue to be one. Incidentally, I started this collection assuming the answer would be “a lot.” It ended up being on the other end of the spectrum of love. I’ll explain that shortly. 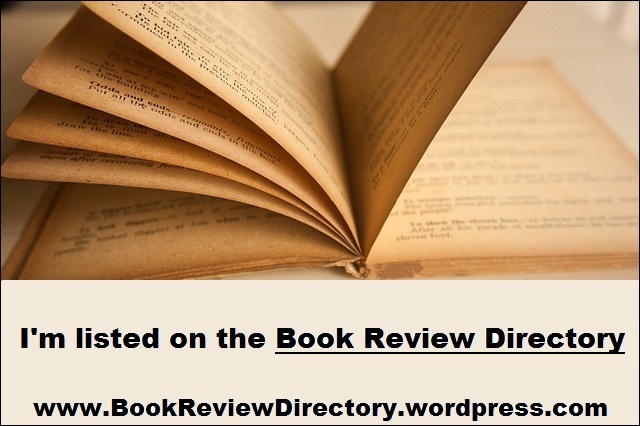 This is not a novel (alas! ), it’s another collection of short stories and novellas, like Side Jobs. It’s been awhile since I’ve read or thought about that collection much, but I believe that this is a stronger batch on the whole. I’ve only read “Cold Case” from Shadowed Souls before, so this was a lot of new material for me — and I enjoyed it immensely. It was great spending a few days in the pages and world of probably my favorite ongoing series. Five of the twelve stories here were told from the point of view of a supporting character in the series. Anastasia Luccio told “A Fistful of Warlocks” about a little adventure she had in Dodge City, which opened the collection on a fun note; we got to know “Gentleman” John Marcone a little better than we wanted to in “Even Hand,” (which doesn’t mean I didn’t enjoy the story). Molly got to shine in “Bombshells” and the aforementioned “Cold Case.” And Waldo Butters’ opening lines to “Day One” — the tale of his first adventure as a Knight — will go down as one of my favorite opening lines of 2018. I really got a kick out of all of these — “Bombshells” and “Day One” were probably the most effective for me, but I’m not going to complain about any of the rest. Actually, after reading “Day One,” I figured I got most of my money’s worth just for that one. Which leaves us with seven others from Harry’s perspective — there are the three Bigfoot stories that were published in various collections and then in Working for Bigfoot. I’ve been kicking myself for a while for being too budget-conscious to get that collection when it came out, yet unable to bring myself to get the e-book. Thankfully, I have them now — and they were great. Not worth the $80 that used copies seem to go for now, but still pretty good. I really liked the characters in these stories and would gladly see them again. “Curses,” was a lot of fun; “AAAA Wizardry,” was a good story that I’m glad I read, but I can’t say it was great; and “Jury Duty” was okay, but had its moments. Which leaves us with “Zoo Day” — the only original piece in this anthology, a novella about Harry taking Maggie and Mouse to the Zoo. And it was great. Just great. I know I’ve got a healthy dose of recency bias working here, but I think in 5 years if you ask me for my favorite pieces of Butcher writing that it will be in the Top 10 — maybe Top 5. Watching Harry try to figure out how to be a good dad, while watching Maggie try to not drive him away, while Mouse just wants the two of them to understand each other . . . it just melts your heart. 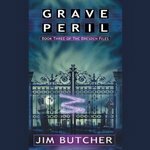 Yes, there’s still supernatural and dark things afoot — many of which we’ve never encountered before that could really mess things up for all three of these characters (and the rest of the Dresden Files cast, come to think of it) — and there’s at least one scene that creeped me out in a serious way. But mostly? I just loved the characters interacting with each other. My “Day One” affection and excitement remain intact, but they pale compared to what I thought about this novella. My notes (again, recency bias may play a role here) read, “A little slice of perfection. I didn’t know a 50 page story could make me so misty-eyed and so happy all on its own.” But it did, and I feel the heart-strings being tugged again as I write this. Simply, this was a joy for me, and I imagine most Dresden Files fans would feel the same way. If you haven’t read Jim Butcher’s books about a Wizard P.I. yet, and have somehow read this far into the blog post, you really, really should. This collection isn’t the place to start — but it’s a great place to hurry up and get to. So, we get more information on the White Council (not just the vague references in the first couple of books and our buddy Morgan the Warden), as well as our introduction to the Fae Courts. Throw in everything we learned about Marcone in book 2, vampires in book 3, and what we’re about to learn in book 5 and we’ll have fully established the world of Harry Dresden. And wow, what a world. But I’m getting ahead of myself. We start off with dealing with the war Harry was tricked into instigating in the last book, he’s got assassins after him — but thankfully, Billy’s got his back. A friendship has developed between Harry, Billy and the rest of Billy’s pack since Fool Moon which is pretty cool to see. Even if Harry’s too blinded by his obsessive need to cure Susan’s vampirism to see things like friendship, self-destructive lifestyle, and whatnot. Billy’s also minding the store for Harry and has made an appointment for him to meet with a new client. Harry doesn’t want a new client — but he’s about run out of money and is looking at the business end of evictions soon, so he’d better. He doesn’t want this new client either, for reasons you can read/listen to for yourself, but she doesn’t leave him much of a choice. Before he can get too carried away with dealing with this, he has to attend a meeting of the White Council — where he will be a major topic of conversation, thanks to the vampire war. Which isn’t going too well for the Wizards. We meet some great characters at this meeting, including Harry’s [spoiler] and mentor, Ebenezar McCoy. McCoy is a hoot — Marsters (no surprise) nails his character, by the way — he’s just one of those guys you like from the moment you meet him on the page and your appreciation for him only increases. In the end, the Council basically puts Harry to a test — if he doesn’t pass, they hand him over to the vampires; if he does, things continue on the way they are now — and if he dies in the process, well, that’ll be inconvenient. The test, naturally, involves him taking the above client he doesn’t want. In a nutshell, a member of one of the Fae Courts has been killed and Harry has a couple of days until the Summer Solstice to find out who did it. Otherwise, the balance of power between the Courts will shift and war break out. A war that’ll pretty much decimate the planet’s climate in ways that Al Gore couldn’t imagine. Which is a bad thing for us humans. So pretty much, Harry has to solve a murder, stop a war/save the earth, while dodging assassins, skeptical wizards, and who knows what else or he’ll be tortured and killed by vampires after being abandoned by his people. In just a couple of days. Oh, and a long-lost (and assumed dead) person from Harry’s past shows up in the middle of all this, too. No big deal, right? Poor, poor Harry. It’s a fun adventure (for the reader), the mystery story is decent, the adversaries are fantastic — and the new characters (even those we never see again, sniff) are great additions to what’s just a great cast. I mentioned the friendship of Billy and Harry earlier — we get a lot of it in this book, Billy’s along for most of the adventure, and he’s really turning into someone Harry can count on. Karrin Murphy gets some great action, too — and Harry finally clues her into what’s going on re: Fae, Vampires, White Council, etc. You know, keeping the promise he made to himself at the end of book 2. Well done, Dresden. I can’t fail to mention Toot Toot — he’s come a long way since we met him in Storm Front, in no small way thanks to Harry. I’m talking about an audiobook now, so I really should say something about James Marsters’ work. I’m just going to sound like a broken record, though, if I do. I’m trying to think if I wasn’t that impressed with anything, or if there was something in particular that I thought he did well, and I can’t come up with anything. I really enjoyed his Bob in Summer Night — nothing different in the characterization, I don’t think, but it just came to life in a particular way. Also, he captured the very strong sense of fatigue, of being at the end of his rope that so defined Harry in these pages. This wasn’t my favorite book — although I really enjoyed it on the whole — and really relished reliving the establishment of the Council and Courts in the series. While I thoroughly enjoyed the stuff in Wal-Mart (for example), it went on too long and wasn’t worth it to the story. There were a few too many moments like that in this book for my taste — fun in and of themselves, but ultimately, time wasted, so I’ll knock this down a star. Also, it proves that as much of a mindless fan-boy I can tend to be about this series, I’m a little discerning. A little. Anyway, we start this one with Harry and Michael on their way to rescue a Maternity Ward full of newborns from a ghost. It takes practically no time at all for Butcher to establish Michael, his relationship with Harry, and place in this world. I gotta say, I was shocked at how easy Butcher made that look — a sure sign that it wasn’t effortless for him. Michael is one of my first examples to use when people tell me that paladins are dull characters. I could go on about this particular Knight of the Cross, but no one has that kind of thing. It’s not just the witch in the hospital, there are angry ghosts all over town — and much more powerful than they normally are. Something’s afoot, and Harry’s having some trouble figuring out what. It does seem to be targeting Harry, Murphy and some others that were with them when they took down a criminal a few months earlier. Meanwhile, Bianca is up to something, and Harry’s too distracted by the ghosts to figure it out, which will prove to be very bad. On the other hand, he meets Thomas Raith because of this — and that’s good for us readers, as much as the rest of the night his horrible for Harry. There is just so much that goes wrong here, you have to feel sorry for Harry. Which is not to say that everything goes wrong, Harry unleashes quite a bit of magic in this one — more than we’ve seen so far (because of reasons), but there are consequences for this — consequences that it’ll take years for Dresden to clean up. Marsters . . . pick your superlative and apply it to his work here. A lot of fun, a lot of heart, a lot of evil, a lot of pain. If this isn’t where this series comes together and fulfills the promise of the premise, it’s darn close. Unabridged Audiobook, 10 hrs., 6 min. 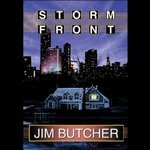 I didn’t love this one as much as Storm Front, and I remember things as a whole being better. Still, we get the introduction of the Alphas, we get to see a little bit of every type of Werewolf in this world (I’d forgotten 1 of them), Dresden makes some smart choices re: Karrin Murphy (but man, most of what happened between the two of them in this book was annoying to a fan, and poorly constructed I think), and a (in retrospect) dumb one about Susan. The main story was pretty good — I’d have liked to see Harry be a little quicker to figure things out, but he’s not perfect. Nor is he the investigator he’ll become eventually. I need to remind myself these are early days. As I recall, book 3 is a little less-good than this, which doesn’t make me look forward to it. But I know I like where things go pretty quickly, so I’ll keep going. Marsters was fantastic — this would’ve been a 3 in just about any other narrator’s hands, er, vocal cords. I can’t say enough good things about him. Unabridged Audiobook, 8 hrs., 1 min. 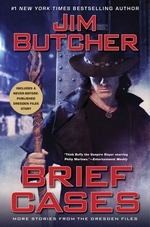 Okay, I know myself well enough that I’m pretty incapable of critical thought when it comes to The Dresden Files — which is not to say I think the books (especially this one) are perfect, but I can overlook all the flaws — and those I can’t I can shrug off. It’s been years — almost a decade — since I re-read this, and I’d forgotten some details, but the core is pure Dresden. And the best of all is that I know they get better from here. 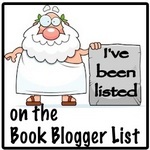 So I’m not going to talk about the book, really. For the 2 of you who don’t know, Harry Dresden is a Marlowe/Spenser-type of P.I. (but not really) who happens to be a wizard. He consults with the police on the supernatural front and does a little business helping private citizens. That’s all the setup you need. What I want to talk about here is the audiobook portion of it — I’ve heard for years that the James Marsters narrated audiobooks in this series are fantastic. I was prepared to be thoroughly entertained. But not as much as I was. Marsters was just incredible, almost unbelievably good. This was, as the best audiobooks are, a performance, not just a reading. And this was one of the best performances I’ve witnessed from Marsters. Had I the means, I’d have bought the rest of the series Friday night after I finished this one. 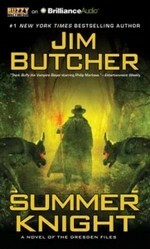 Butcher fans, if you’ve only read the book, you need to listen to them, too. Marsters brought our man to life.